graduated from Birmingham University in 1990. He then joined the Selly Park Dental Centre where he primarily worked for the NHS before developing a private practice in 1995. Mr Mackenzie's family-based approach is centred on providing high quality, long-lasting dentistry using the most up-to-date preventive and aesthetic techniques. Mr Mackenzie is a clinical lecturer at Birmingham University Dental School where he teaches final-year students. He is also an honorary clinical assistant at Birmingham Dental Hospital, and an elected member of the LDC serving on the advisory committee. 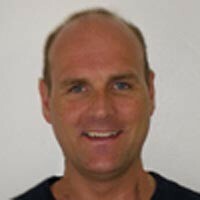 In 2001 he completed a years course in restorative/ cosmetic dentistry at the Manchester Centre for Dental Education. He is married to Solihull dentist Gilly Mackenzie and they have two small children. He plays tennis and golf and is captain of a local cricket team.